The local San Luis Obispo paper, The Tribune, featured a nice write up on a recent case handled by Mike McMahon and our litigation team. The Paso Robles Courthouse opened amid speeches by state, local, and court officials in November, 2008. As some of those officials noted at the opening, the beautiful new facility replaced a dated facility that was stretched beyond its limits from the day it opened. The new courthouse is the product of years of dreaming, planning, and the hard work of obtaining funding. It is a facility that reflects the rapid growth of the North County, intended to serve the interests of North County residents and business people. As a firm that devotes a substantial portion of its practice to civil litigation, we were happy to learn that the court decided to devote the other Paso department to the civil calendar. New North County cases are to be filed at the Paso Robles Courthouse, while North County cases filed before the opening of the new courthouse have frequently been reassigned to the Paso Courthouse in connection with case management proceedings. Judge Roger Picquet currently sits in the civil department in the Paso Courthouse. From a personal perspective, we were pleased to learn that one courtroom in the Paso Courthouse was to be devoted to family law. Family law proceedings can be particularly emotional for those involved and frequently require parties, including children, to appear in court. With proceedings taking place during regular business hours, these appearances can be difficult for those who work or attend school during court hours. Although the presence of the Paso Courthouse does not eliminate the need for such appearances, it does make attending easier for North County participants who work or attend school north of the Cuesta Grade. The family law department is run by Judge Burke, who long held the family law assignment in San Luis Obispo. In addition to two courtrooms, the Paso Courthouse is equipped with a clerk's office for filing and review of court papers, conference rooms, space for a mediator and family law facilitator, and a third hearing room that doubles as a jury assembly area. With the courthouse having been open long enough to allow some of the kinks to be worked out, we were curious about the court's perspective on whether the Paso Courthouse has so far met expectations. We were also anxious to find out what has been happening in the civil division of courthouse on a daily basis since its opening and decided the best place to start was with Judge Picquet. Having served as City Attorney for Paso Robles while in private practice, Judge Picquet is no stranger to the North County and welcomed the opportunity to visit Paso Robles for something other than a nighttime city council meeting. We asked Judge Picquet for his observations on the types of cases he hears at the new courthouse and the experience of working in a brand-new state-of-the-art facility. Judge Picquet finds the new facility to be well-designed and an appropriate setting for court proceedings. Attorneys, witnesses, and jurors have commented favorably on the new courtroom, which is equipped with monitors and other equipment that allows for easy display of exhibits. Jurors for the Paso Robles Courthouse are selected not only from the North County but also the North Coast and San Luis Obispo. However, jurors for the Paso Robles Courthouse are not selected from the South County. Judge Picquet has presided over one jury trial (a personal injury action) and numerous court trials. A substantial portion of the civil calendar is occupied by commercial and residential unlawful detainer (eviction) proceedings. In what Judge Picquet sees as a reflection of the North County economy, a substantial number of these unlawful detainer proceedings involve owner-occupied residences. Also reflecting the time and place are numerous cases involving former hard money lenders such as Estate Financial and 21st Century Financial. According to Judge Picquet, the North County caseload is increasing rapidly because of the way cases have been assigned to the Paso Robles Courthouse. Although the SLO Courthouse had many existing North County cases, only cases filed since 2008 were reassigned to the new courthouse. Since the opening of the civil department at the beginning of 2009, North County cases are immediately assigned to the Paso Courthouse. For this reason, Judge Picquet expects the Paso civil department to catch up quickly with SLO. Considering the poor conditions of many courthouses throughout the state, we in the North County are truly fortunate to have this beautiful yet functional new facility. We encourage anyone who has not seen the new courthouse to take some time to visit. Meanwhile, we will keep posting occasionally about developments at the courthouse. Taxing your healthcare benefits in order to fund healthcare. Sounds circular to me. Apparently, Congress has put forth the “stellar” idea to remove the tax exemptions that are synonmous with employer provided healthcare (Article). Although there is a long history of taxing benefits that do not result in cash in hand, this proposition is absurd at its inception. Next Congress might try and determine how much money a person saves on an FSA and tax him or her on that as well. Carmel & Naccasha partners, Z. Naccasha and Mike McMahon and Of Counsel Margaret Thurn are very pleased to report that they obtained summary judgment on behalf of a local Community Services District and its former manager who were sued in a Federal Court lawsuit pending in the Central District of California. The plaintiff claimed civil rights violations based on his alleged inability to obtain sewer service for a planned residential development south of the City of Paso Robles. Plaintiff's causes of action included alleged violations of 42 U.S.C. section 1983 and Inverse Condemnation. Defendants argued that all causes of action were barred by the applicable statutes of limitations. Plaintiff sought to avoid the bar of the statutes of limitations by alleging that he was entitled to equitable tolling of his causes of action. Plaintiff sought approximately $2,000,000 in damages, including loss of his property to foreclosure, lost profits from the inability to develop his property, and related costs and expenses he claimed were incurred. Plaintiff also sought punitive damages against the District's former manager. We successfully argued on behalf of the District and its former manager that the plaintiff's entire action was barred by the applicable statutes of limitations and that plaintiff was not entitled to equitable tolling of the statutes of limitations. By Kathe Tanner. "SLO County Roundup" in The Tribune. February 22, 2009. Directors of the Cambria Community Services District unanimously selected Tim Carmel of the Carmel & Naccasha firm in San Luis Obispo as district legal counsel at their meeting Thursday. Currently Arroyo Grande’s city attorney, Carmel served as attorney for the San Simeon Community Services District for more than a decade. 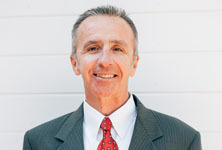 According to his firm’s Web site, www.carnaclaw.com, he also serves as district counsel for San Miguel Community Services District and Cayucos Sanitary District, and general counsel for San Miguelito Mutual Water Company, Morro Rock Mutual Water Company and Paso Robles Beach Water Association. Click Here to read the full article in The Tribune.